Puck handling is an essential part to becoming a successful hockey player. 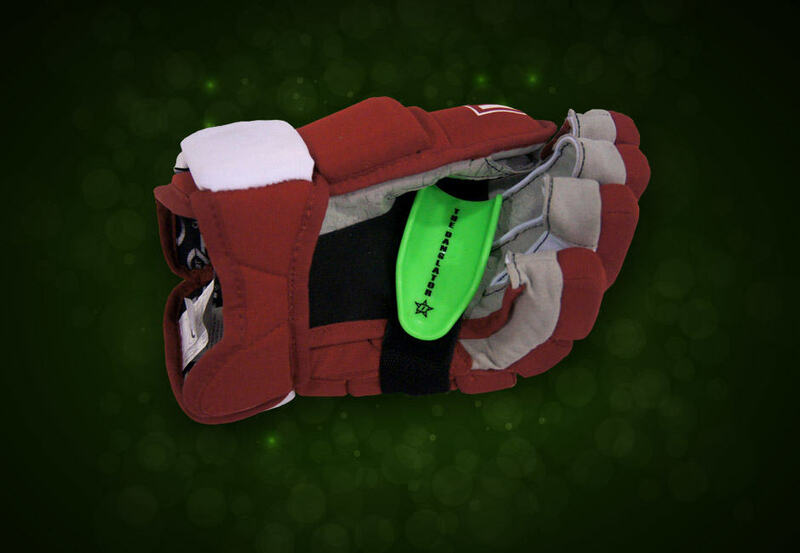 Having a great set of mitts will provide you an avenue to complete routine plays with ease. Whether its burying biscuits on the door step or executing an important break out in the last minute of play, confidence in your puck handling abilities is key. Remember these 3 important items when practicing your puck handling. 1 Puck Handling with hands away from body. Often times as a young hockey player, you feel most comfortable keeping your hands in tight against your body. This decreasing your range of motion and limits your ability to outstretch your opponent. In other words, you hand cuff yourself. When practicing your stick handling whether on the ice or at home, stretch your hands as far away from your body as possible. Make sure to stick handle all the way around your body, keeping your hands away the entire time. Completing normal stickhandling exercises with out stretched arms will ensure that your wrist strength increase and will make you a better puck handler. Your top hand is your steering wheel and control arm. To perfect cupping the puck on both forehand and backhand it is key to use your top hand to roll your wrists. your bottom is merely a guide that helps with stability and should not be used to rotate your stick. To help build this strength and skill, preform your stick handling routine with only your top hand, keeping your bottom hand behind your back. Ensure that you are cupping the puck on both the forehand and backhand as well as stretch as far as you can. The Danglator from hockeyshot.ca is a great tool to use in order to not over-squeeze the bottom hand, and get the top hand to do all the puck handling. 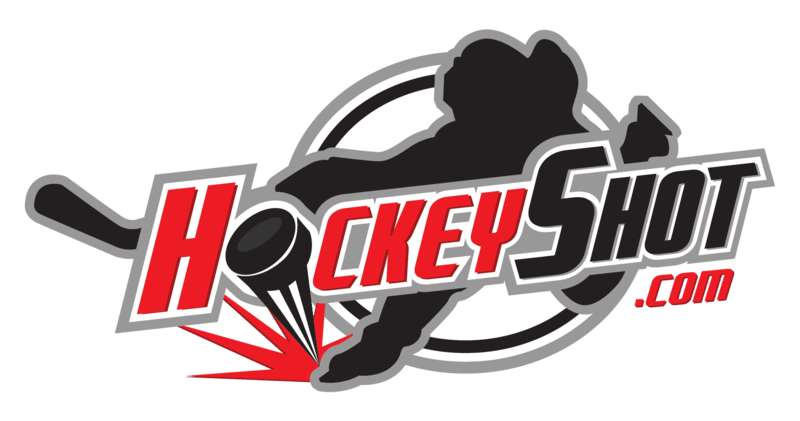 Young hockey players are always successful with the puck in front of them, it is extremely rare to find a player would can use their stick as an extensive of their body to reach pucks that are not in their comfort zone. Throughout the course of a game, pucks are never perfectly passed on your tape and being able to reach and stretch for pucks is what will take your game to the next level, other than just stick handling around your body, work on passing and receiving passes in weird stances, such as fully stretching behind yourself on your backhand and completing some stickhandling and passing drills. With the dexterity in your skill set, it will allow you to be more creative and free when practicing your stick handling. It can be a little boring when practicing the basics, but be creative and incorporate those basic skills into multi skill drills. 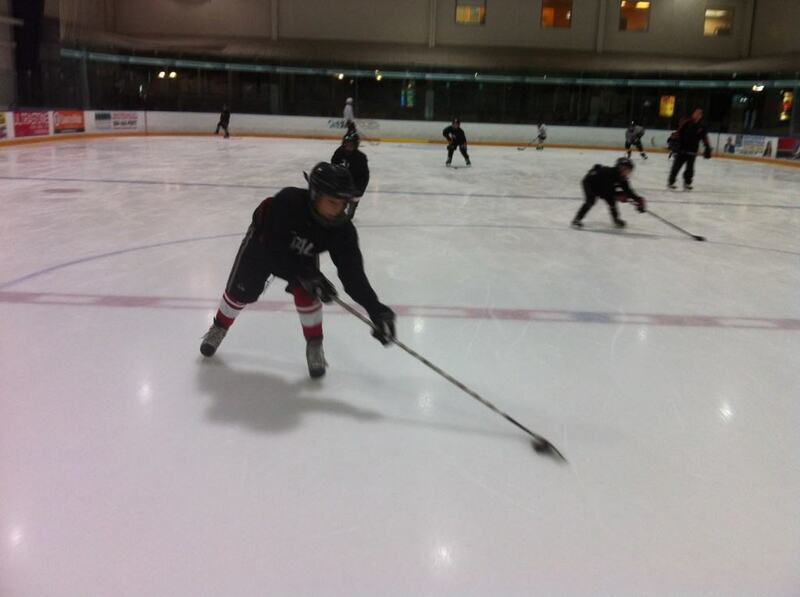 Try a toe drag behind your back, pulling the puck up through your feet into two fast wide stretched stickhandling. Always a favorite of mine. Focusing on the above points when puck handling will really make a difference in high pressure situations. Good hands are good, but great hands are best. And remember, Improvement is Vital!